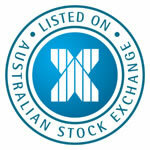 Analytica Limited is a Brisbane-based public company listed on the Australian Stock Exchange. The company is dedicated to the design, development and supply of Class I and II medical devices. Visit our Corporate Governance page for downloadable copies of the company constitution and board charter, Appendix 4G, and corporate governance policies.